Ever dreamed of recreating a Richard Serra sculpture with tomatoes from the pantry? 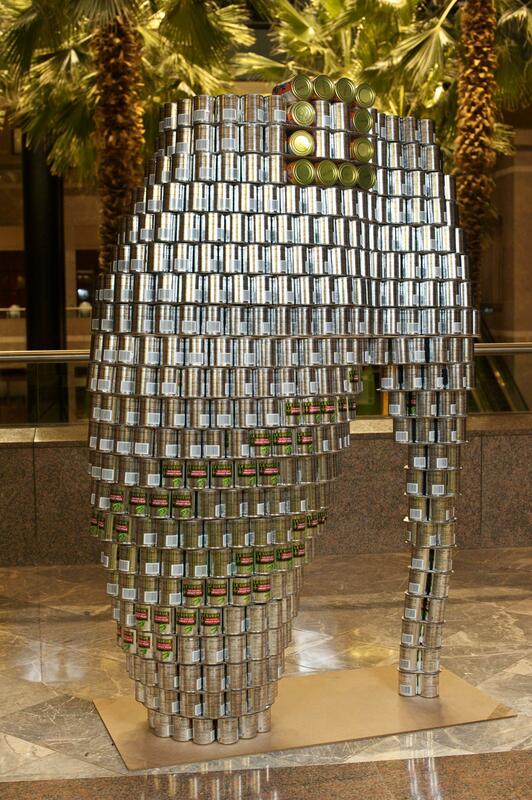 Erecting a monumental tribute to Alexander McQueen’s armadillo heel using only canned peas and elbow grease? What about constructing a truly giant giant panda that can feed hundreds? Teams from top architecture and engineering firms will prove that they can do it, and for a good cause. The international charity competition that is Canstruction returns to New York City next month and with it the opportunity for teams of architects, engineers, and students they mentor to design and build giant structures made entirely from unopened cans of food—all of which are ultimately donated to City Harvest. The competing teams’ carefully stacked creations will be judged in categories that include Best Use of Labels, Best Meal, Structural Ingenuity, and Most Cans. The works will be on view from November 6 through November 20 in the Winter Garden and lobby of Brookfield Place. Bring non-perishable foods when you visit, and they’ll be donated along with the cans used in the competition.